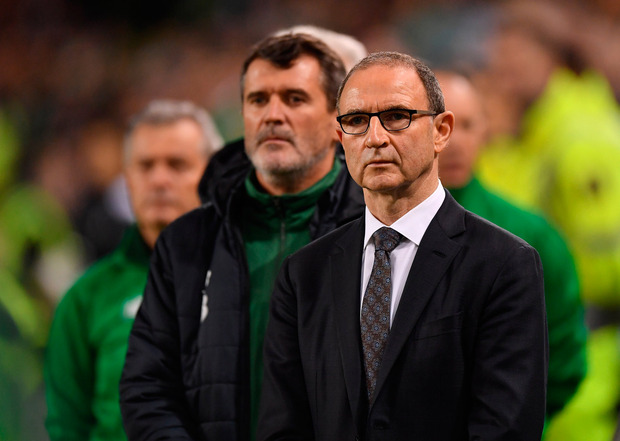 Brian Kerr has hit out at Ireland's performance under Martin O'Neill over the last two years, calling the team's record 'abysmal'. After a nightmare start to the UEFA Nations League, with Ireland drawing one and losing two of their opening three fixtures, the team struggled to cling on to a goalless draw against a superior Northern Ireland side at the Aviva Stadium last night. The stalemate means that Ireland have now failed to score in their last three games, as they prepare to face Denmark in Aarhus in their final Nations League game on Monday night. Ireland have been in a slump for some time under O'Neill, and speaking ahead of last night's encounter on Virgin Media Sport, Kerr highlighted some statistics that show just how far the Boys in Green have fallen in recent times. "Since the start of 2017, we've played 17 games. We've won 3, drew 6 and lost 8. And in those 17 games we've only twice scored 2 goals. That's abysmal." "It would generally be considered that we have better players to pick from," Kerr said. "It is also the style of football and that they seem to create lots and lots of chances, even though the results haven't been so good for Michael [O'Neill recently]. We have created very few [chances]. "Since the start of 2017, we have played 17 games. We have won three, we've drawn six and we've lost eight. And in those 17 games we have only twice scored two goals and no more. We scored twice against Moldova and two against the USA in a friendly. That's abysmal for our international team."